Product prices and availability are accurate as of 2019-04-20 14:53:04 UTC and are subject to change. Any price and availability information displayed on http://www.amazon.com/ at the time of purchase will apply to the purchase of this product. 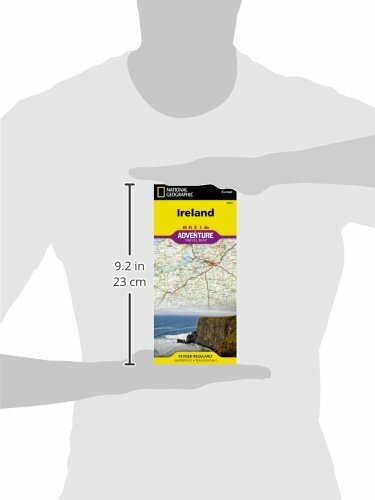 Explore the storied "Emerald Isle" with National Geographic's Ireland Adventure Map. Designed to meet the needs of adventure travelers with its detailed, accurate information, this map includes the location of cities and towns with a user-friendly index and a clearly marked road network complete with distances and designations for roads/highways, plus secondary routes for those seeking to explore off the beaten path. Specialty content such as hundreds of diverse and unique recreational, ecological, cultural, and historical destinations make Adventure Maps the perfect companion to a guidebook. 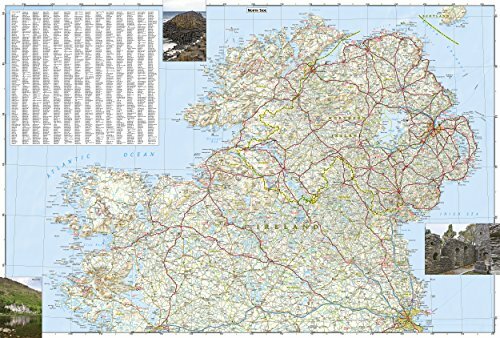 The Ireland Adventure Map covers the entire island including the Republic of Ireland and British-ruled Northern Ireland in one easy-to-use map. 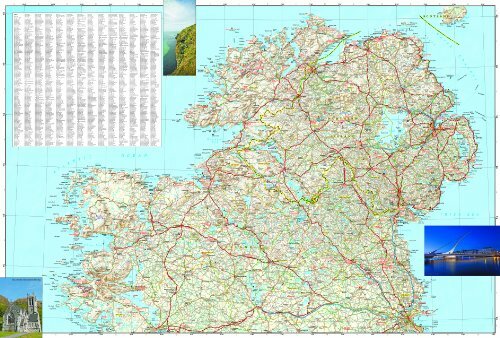 The north side of the map details from the northernmost tip of the island at Malin Head south to Dublin and Galway, including Belfast, Dundalk, Londonderry, and Sligo. 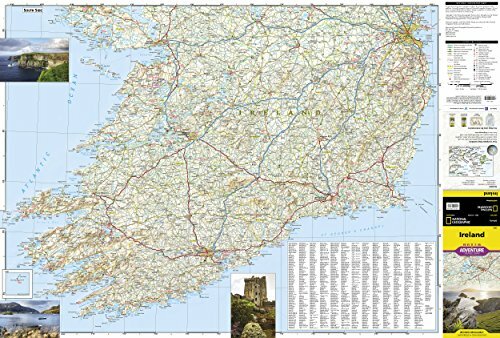 The south side overlaps the northern side of the map at Galway on the west and Dublin on east, covering the remainder of the country including the cities of Limerick, Tralee, Cork, and Waterford. 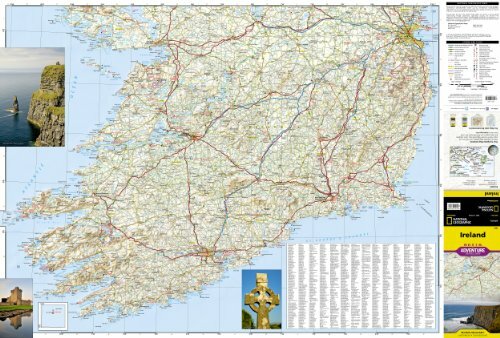 Ireland's lush green landscape is a result of its temperate, oceanic climate. The island's geography is mostly comprised of a central plain surrounded by relatively low-lying mountains. Coastal regions vary from sandy beaches to towering cliffs that rise hundreds of feet above the pounding surf. 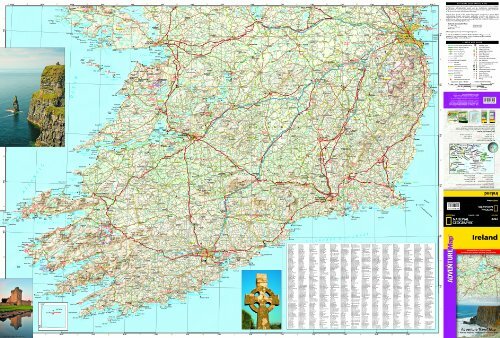 Castles, churches, abbeys, monasteries, and Neolithic sites abound, offering travelers a remarkable variety of opportunities to explore Ireland's rich and ancient cultural history.